Until 1987, Dr. Myrna Weissman was a Professor of Psychiatry and Epidemiology at Yale University School of Medicine and Director of the Depression Research Unit. She was a Visiting Senior Scholar (1979-1980) at the Institute of Medicine, National Academy of Sciences, Washington, D.C.
1974 she received a Ph.D. in chronic disease epidemiology from Yale University. Her current research is on epidemiology, detection, treatment; and the genetics of affective and anxiety disorders. Dr. Weissman has been a consultant to many private and public agencies, including the World Health Organization, the White House Office of Science and Technology Policy, the John D. and Catherine T. MacArthur Foundation, and the Institute of Medicine, National Academy of Science. 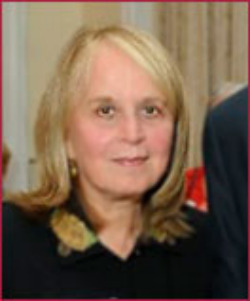 She has been the author or a co-author of over 550 scientific articles and chapters, and 11 books, including Interpersonal Psychotherapy of Depression, Basic Books, New York, 1984, with her late husband, Gerald L. Klerman, Bruce J. Rounsaville, and Eve S. Chevron; A Comprehensive Guide to Interpersonal Psychotherapy, Basic Books, New York, 2000 with Gerald L. Klerman and John Markowitz; and Treatment of Depression: Bridging the 21st Century, API Press, 2001 and Weissman, a Clinician's Quick Guide to Interpersonal Psychotherapy, Oxford University Press, New York, NY: 2007.